FAQ's about Solar Screen Sun Shade Panels for Windows, etc. Do the solar panels have suction cups or pads installed and ready for me to put up? Yes. Suction cups (or if you ordered Dual Grip pads) are installed on all corners and on all edges spaced as appropriate for the size of the solar shade screen panel. The average order ships within 5 to 7 days. Customers, depending upon their location, generally receive their order within 1 to 2 weeks after ordering. If I error on measurements, can I trim the solar screen myself? Yes you can, with either scissors or a razor knife. The edge of the cups and pads come within 3/16" from the solar screen edges and even further if you ordered an additional set-back of 1/4" or 1/2". This allows for some trimming. The screen mesh is welded at each cross point and will not unravel. What colors are best for providing shade, stopping UV damage, stopping the heat generated by UV rays and for eliminating glare? 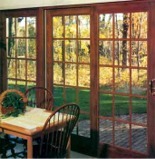 All colors provide the same shade, reduce sunlight glare and stop heat from UV rays. The amazing heat reduction is accomplished by the advanced UV inhibitors impregnated in the PolyCB2 solar screen mesh that neutralize the high frequency solar energy. Can I see through all colors the same? Yes, you can see through all colors quite clearly. White, however, is highly reflective and some customers have reported a very slight difference between white and the pale colors. Other customers have noticed no difference. What colors provide the greatest privacy? The lighter colors provide the greatest degree of daytime privacy. However, even black, under most conditions can provide good privacy. Privacy is obtained by the visual light rays being reflected back to the outside viewer when the outside lighting (daylight) is brighter than the interior lighting. Thus, the term, "daytime privacy". What else should I consider when selecting a color? Whichever color you select is the color that will be seen from the outside during the day and from the inside during nighttime. Beige is very popular because it is so neutral. From the inside, you will be looking through the screen and it can actually enhance your view of the outside. On skylights, the light blue will enhance the sky and clouds. If your view is of foliage, the pale green is often a good choice if it fits with your decor. Obviously, if we make an error, you can return the item of error and we will replace it at no charge. We encourage you to request color samples of the PolyCB2 MX-90 by emailing us with your postal address. Since all orders are cut to exact specifications, we cannot accept returns unless they are found to be defective and covered by our ten year warranty. Can the solar shade screen panels damage my dual or triple pane energy efficient window glass like window films and tinting have been reported to do? No. The UV inhibitors in the mesh neutralize the heat generating solar energy instead of reflecting it. 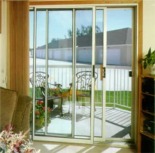 And, because the shade screen material is held away from the glass, the air flow allows cooling of the glass pane. The PolyCB2 MX-90 solar shade screen has virtually an unlimited lifespan. The pads and suction cups (both of which are replaceable) are rated at 12 to 15 years before signs of breakdown. We warranty our solar shade panels, including cups and pads, for a period of 10 years. Do you sell the Easy Up Shade System in stores where it can be seen? In order to keep the cost down and pass the savings on to the customer, we have chosen to sell directly over the Internet. 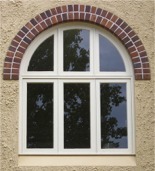 We urge you to request our free color samples which contain pieces large enough to hold up to the window. Also, a number of our customers have purchased a panel for a single window to "test out" and have returned to purchase additional panels. We encourage this method of testing our product. We know you will be back for more. We have been selling quality products for over thirty years. Due to technological advances inspired by NASA research projects, the Easy Up Shade System went on the market in 2007. These advancements included formulas to filter and neutralize high frequency solar radiation and incorporate that resistance into new synthetic products that not only provided maximum solar protection, but were also virtually unaffected by time and the elements. Need Solar Screen with Grommet Edges for Hang-in-Place?